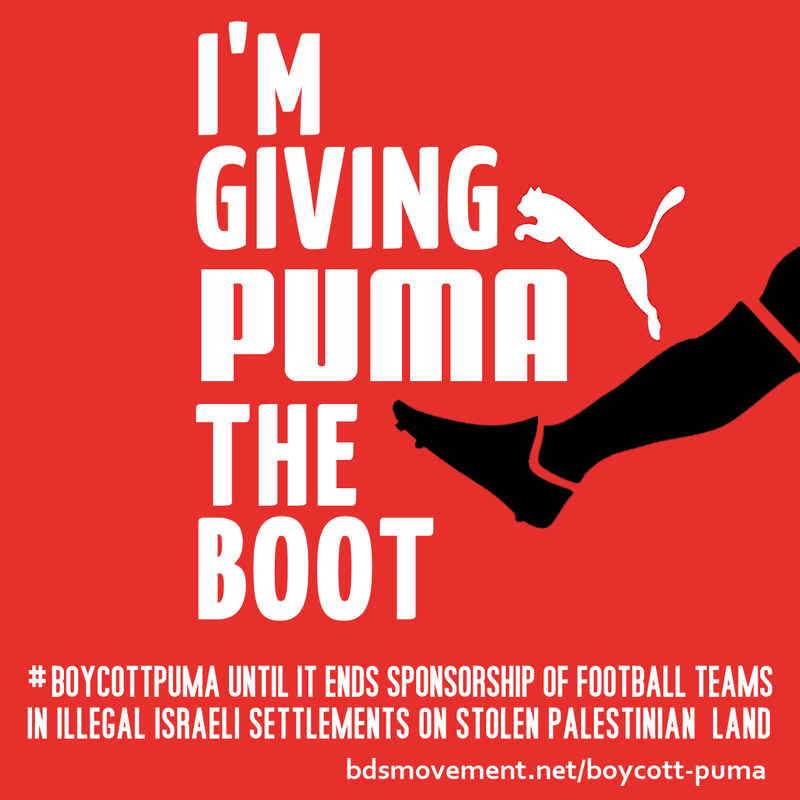 Puma’s endorsement gives legitimacy to Israel’s illegal settlements pushing Palestinian families off their land and its attacks on Palestinian sports. Israeli snipers ended the careers of dozens of Palestinian athletes in Gaza in 2018 alone. Puma sponsors the Israel Football Association (IFA), which includes teams in illegal Israeli settlements on occupied Palestinian land in violation of international law. Puma’s endorsement of the IFA gives legitimacy to Israel’s illegal settlements pushing Palestinian families off their land. As long as Puma sponsors teams in illegal Israeli settlements, I will respect the call from Palestinian athletes to boycott Puma. Thank you for taking the #BoycottPuma pledge.